Post & Go overprints to mark 50th anniversary of The Queen opening the National Postal Museum available at The Postal Museum. 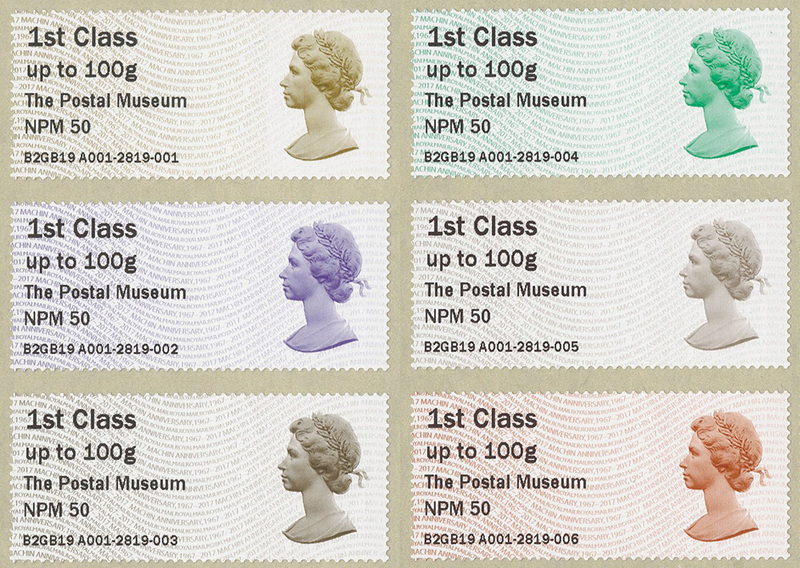 The Postal Museum has announced today that Royal Mail Post & Go overprints marking the 50th anniversary of The Queen opening the National Postal Museum, forerunner of The Postal Museum, will be available from its Post & Go machine from 13 February 2019. 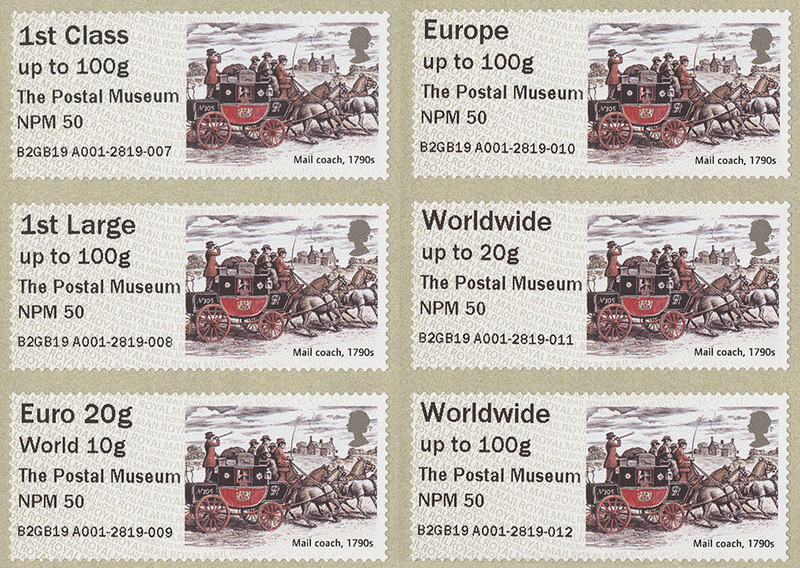 Two designs will be overprinted to commemorate the first National Postal Museum being opened by The Queen at London’s King Edward Building on 19 February 1969. The Machin commemorative 1st class in six colours, replacing the standard Machin 1st class, and the Mail Coach in all values. Both designs include an overprint The Postal Museum/ NPM 50 and will run until further notice.